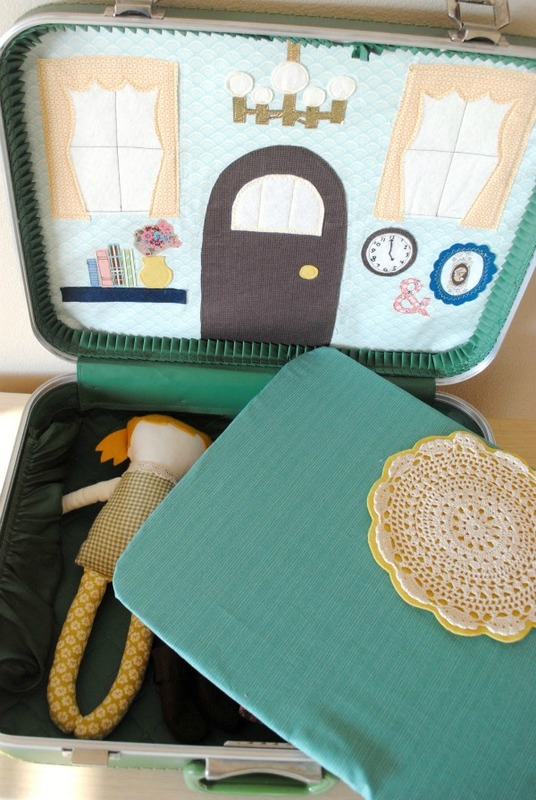 I created this fun doll suitcase for my oldest daughter and we love playing with it together. It has three interchangeable rooms, a secret clothes storage space under the floor, and it's portable! Would you like to make your own? I'll show you how! 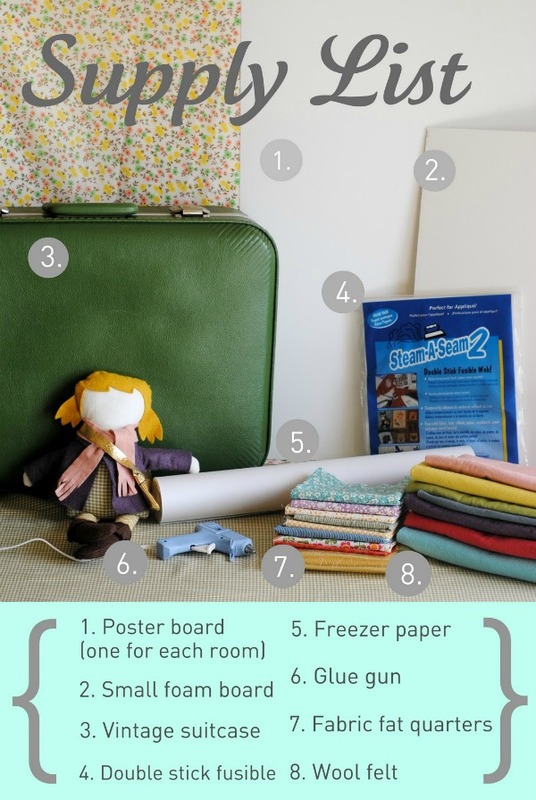 You will need all of the supplies listed above, as well as the notably missing iron, thread, scissors, and sewing machine. The 'wallpaper' fabric, or base fabric, for the rooms needs to be at least a whole fat quarter (depending on the size of your suitcase), but the remaining fabric can be scraps - it's a great way to use up some of your stash. I made three interchangeable rooms for mine, so I used three pieces of poster board. You may also need a piece of poster board for the 'floor' backing. The foam board just needs to be a big as your suitcase. 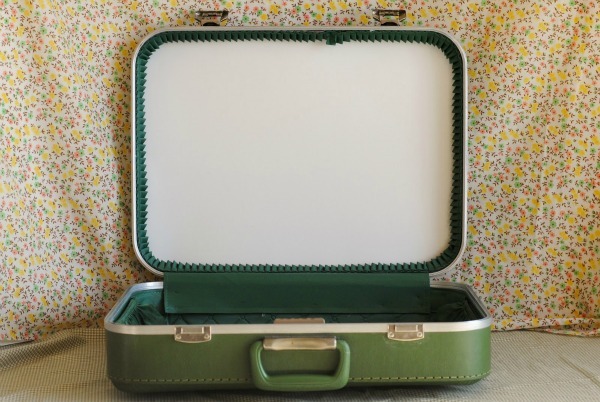 Speaking of the suitcase, I found this vintage green beauty at the thrift store for $3. The key to this project is the ruffle edging along the inside of the top lid - that ruffle is what will hold your interchangeable rooms in place. First, measure the inside of the lid and cut out the poster board(s) so it fits snugly behind the ruffle, but you can still pull it out. 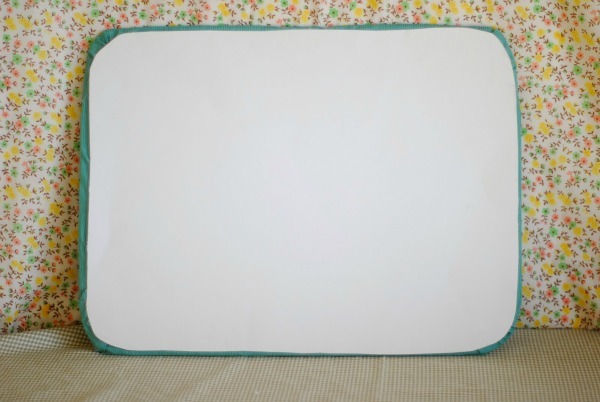 Next, take a large piece of freezer paper and trace the outline of the poster board so you know exactly how much space you have to fill. Draw a pattern of your room - know the more detailed it is, the more work it will be! I didn't end up putting all of these little details in my kitchen, but the main components are important at this point. 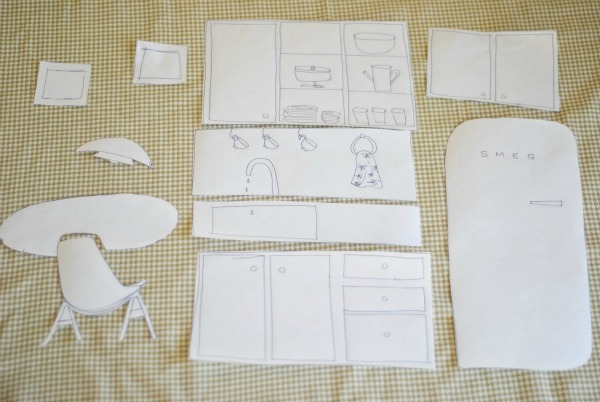 Cut out all of the main components of your drawing to create freezer paper pattern pieces. 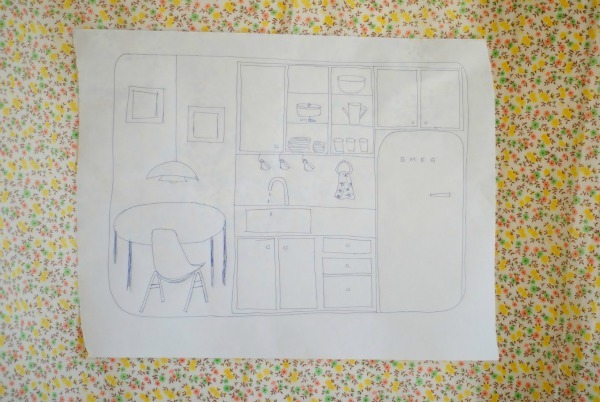 I'll show you the next several steps using my fridge pattern piece, but you will want to do this for all of your pieces. Now you can decide what color felt or fabric print you want to use for each piece. Iron the freezer paper pattern onto your choice of material, I chose to make my fridge out of blue felt. This will make it easy to cut out the shape, then simply peel the freezer paper off (you can use the same freezer paper pattern several times if needed - I kept all of mine just in case I want to make another doll suitcase someday for my other daughter, although maybe I would want to make it look different!). 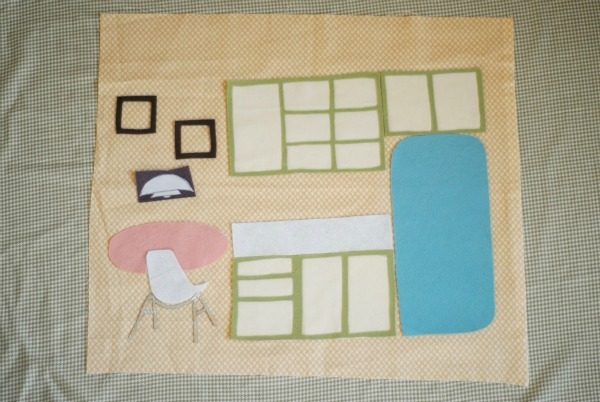 Next take the double stick fusible and place your cut out pattern piece onto it. I don't worry about covering every square inch, that way I can use up scrap pieces of fusible if needed. 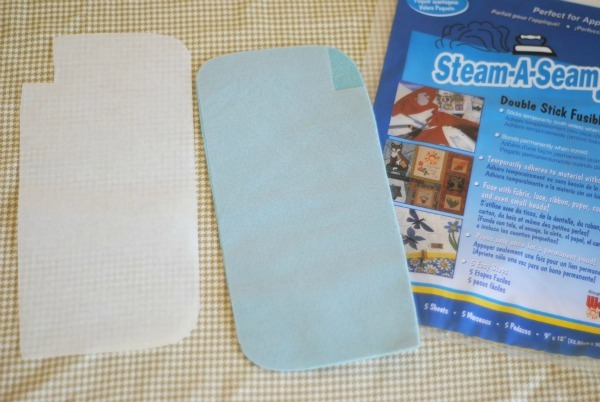 Cut out the fusible into your shape and peel off the backing. 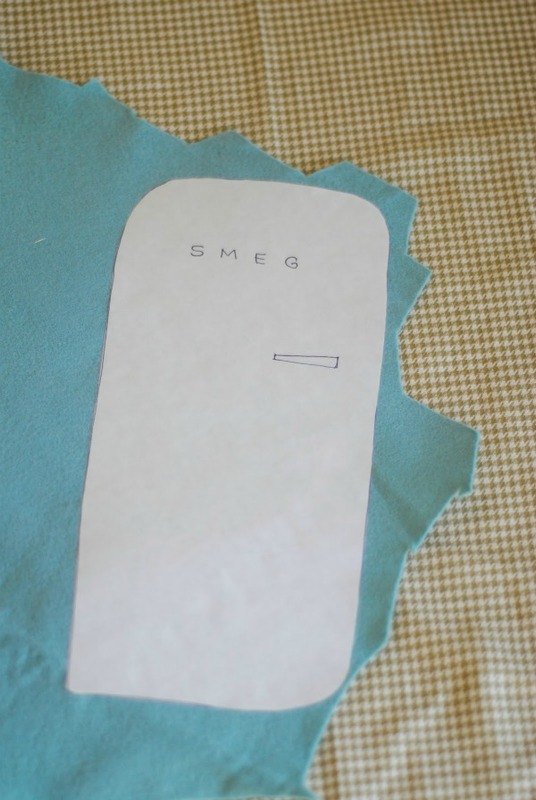 Once you have all of your main pieces cut out with the fusible, place them onto a piece of fabric that will act as the 'wallpaper'. 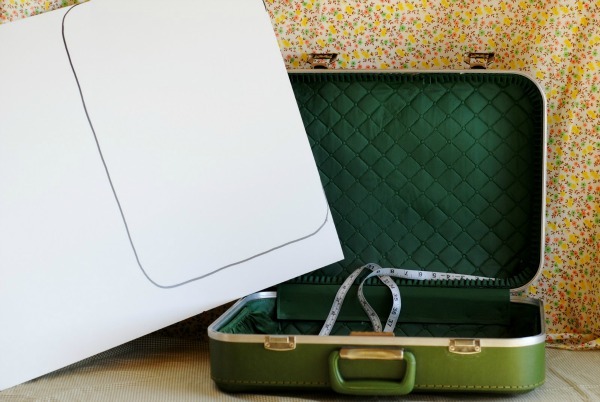 A fat quarter was the perfect size for my suitcase, just make sure your piece is big enough to cover the poster board piece you cut out in the first step with a few inches around to spare. Iron all of the main pieces in place, the fusible will adhere them to the fabric. 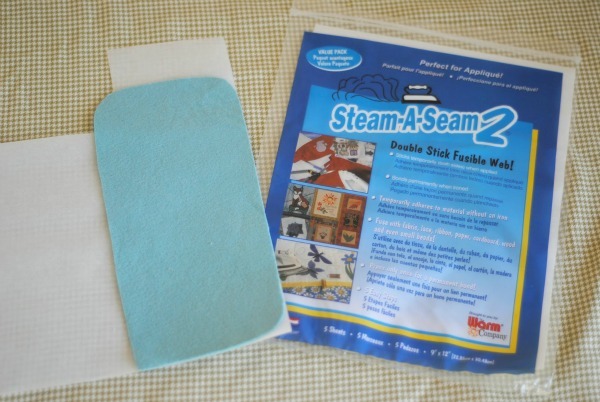 Add the rest of the details in your room in the same manner and iron them in place. 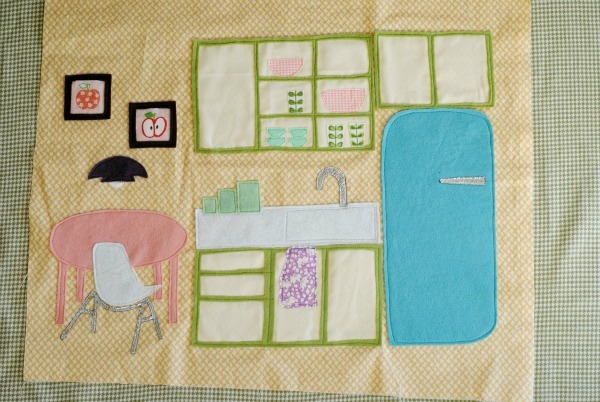 Then sew around everything to secure it and add other details, for example, I sewed the sink outline onto the counter. Fun details include pictures cut out from printed fabrics. I also used pops of gold and silver fabric for added shine and texture. Embroider any small details as needed. I used embroidery on my sewing machine in the bedroom, for the cord on my light and the word on the fridge in the kitchen, and for the clock face in the front room. 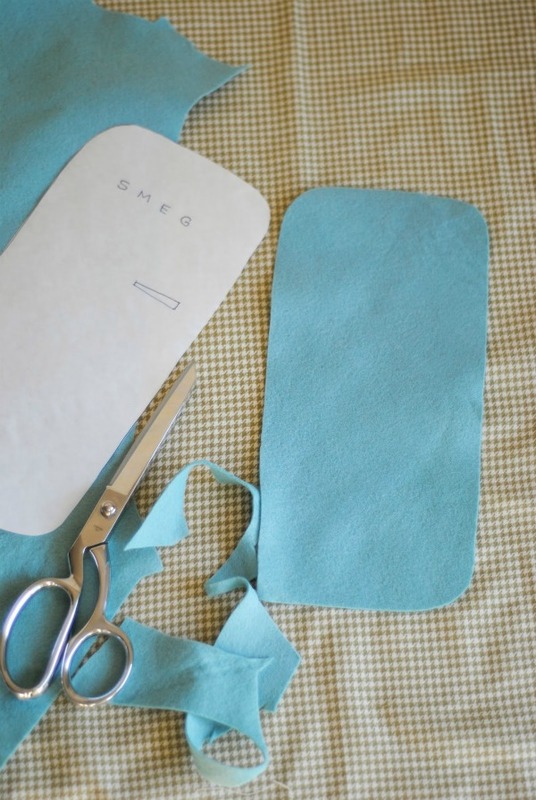 Once your room is all sewed up and you are satisfied, it's time to glue! 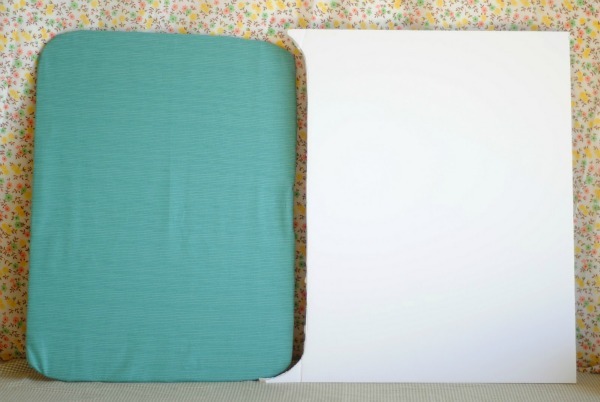 Take the poster board you originally cut out and wrap your room tightly around it. Using a hot glue gun, glue it securely in place all the way around. Add a small ribbon pull tab to one corner. 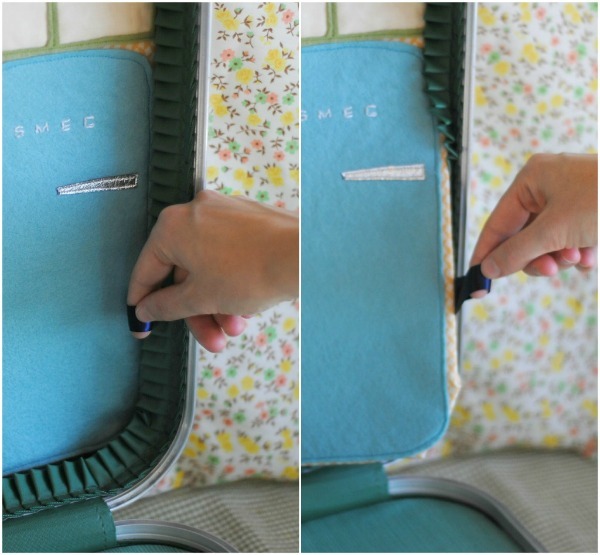 This tab will allow you to easily pull the rooms out of the suitcase lid to change them up. I also ended up adding a ribbon pull tab to the floor which is the next step. 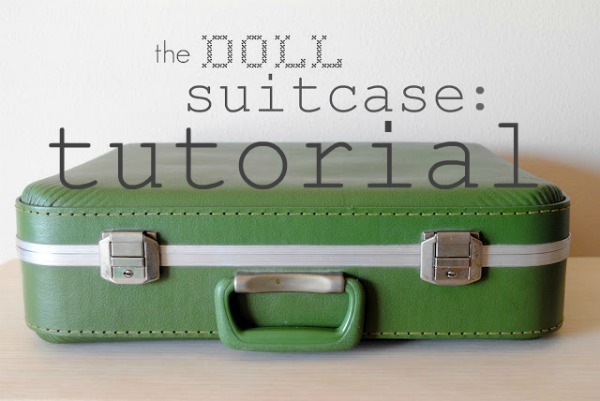 For the floor, measure around the lip of the bottom portion of your suitcase and cut out the foam board to fit. 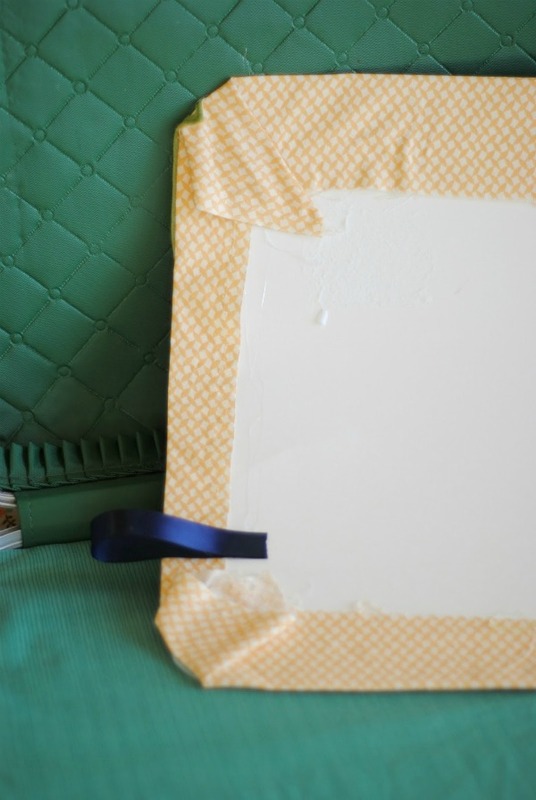 Wrap fabric around the foam board and hot glue in place, add a ribbon pull tab (not pictured), and then back it with a piece of poster board. You may be able to use a leftover piece of poster board if you cut using space carefully at the start. 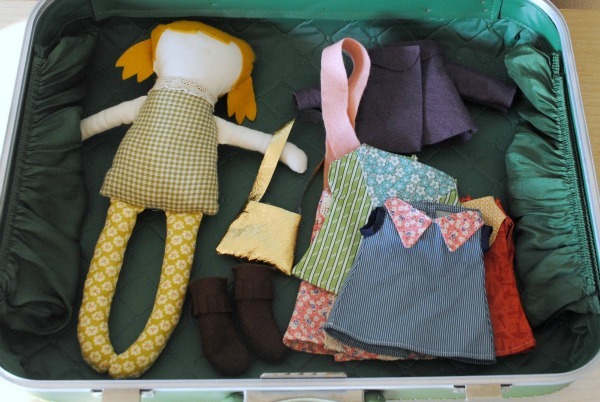 The bottom of the suitcase serves as storage for my daughter's doll and all of her clothes, so the floor will hide this space during playtime. Pop your room(s) and floor into place and you're done! All three of my rooms fit behind the ruffle at once, so that is how I store them. Just pull the ribbon tabs to get them out and switch them up (tip: in retrospect I should have used a different color ribbon for each room so I would know which tab to pull accordingly). For my doll, I used the Black Apple pattern and I had a lot of fun designing an entire wardrobe for her. The sky is the limit with this project, I hope you try it out! 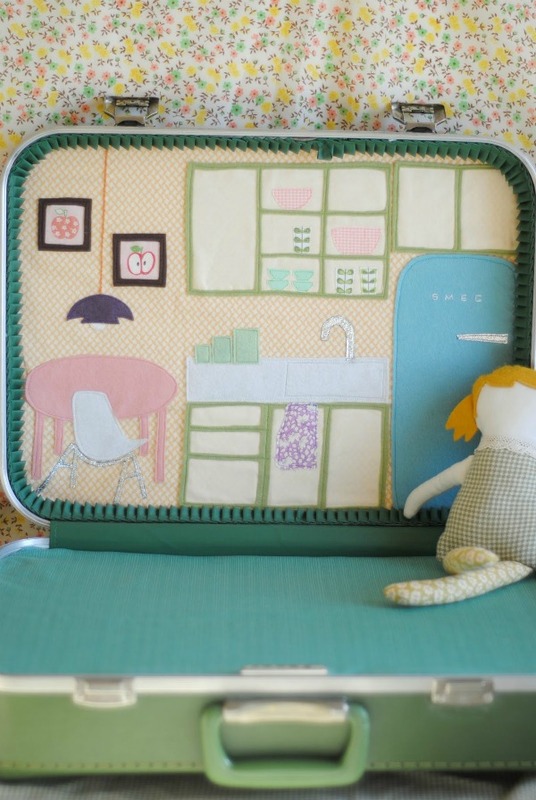 Also, a big thank you to Prudent Baby for sharing this tutorial on their site as well. Oh my gosh this is so so lovely!!! Seriously the cutest thing ever! I'm absolutely in love with this. I really really really want to make one some day and this one is so precious!!!! You're so talented Stacy! I want to make one for my little one. Have to find a suitcase first. Lucky my little one is still so little so I have time. Thanks for the tutorial. Much appreciated. This is darling. Like crazy cool makes me want to play with dolls. Definitely number one on my list for my 2 year old daughter. She will LOVE this- although I will have to embroidery a face on the doll because that would worry her to death- "Momma, where her eyes, nose, and mouth go?" would be asked at least a zillion times! :) Thanks for the tutorial!! Woohoo! Oh and totally can't believe how clean your vintage suitcase was- I am on the hunt! This is just so awesome Stacy, I love it. You're certainly very clever and thanks for inspiring me again! I might try to get one done for Ivy for Christmas, although I doubt it will be this cute. Thanks again!!!!!! oh, and the blog looks fantastic! thank you so much for posting a tutorial! i remember when you first posted about this and i have been planning on making one for my daughter's second birthday next spring. now it will be so much easier! wow...this is brilliant! 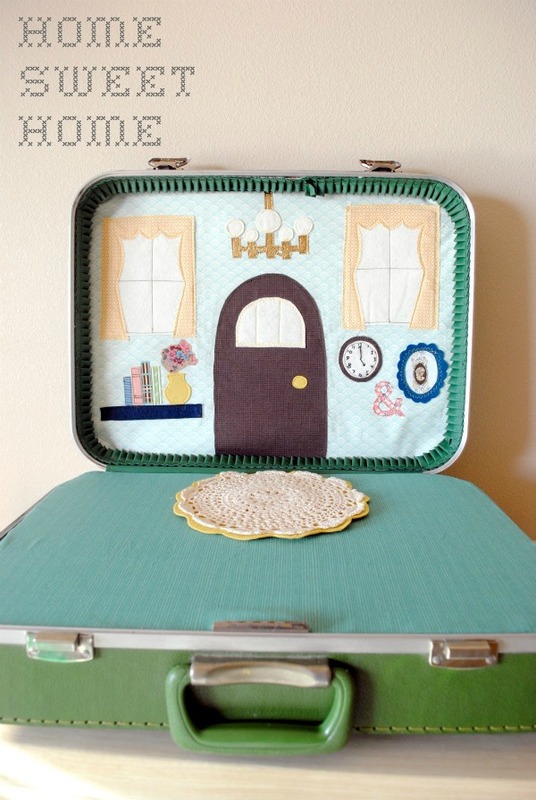 i just so happen to have a vintage case that would work well with an idea like this! my daughter is only 10 weeks old, but by the time i'd figure out to sew and make it happen...she'll be old enough to play with it. ha! This is the sweetest DIY ever! Wow I love this. SO sweet! If only I had a girl... Sure, I could make one for my boys but I get the feeling they would not appreciate it nearly as much as a little gal would! This is just the cutest thing EVAH! I'm too old for dolls and my boy is nearly 18...but so what?!?! I'm making this!! It is a true testament to how cute this is that I would consider doing it despite my hate hate relationship with sewing crafts. Great and so very inspirational! This is stunning! I sort of want one for myself! 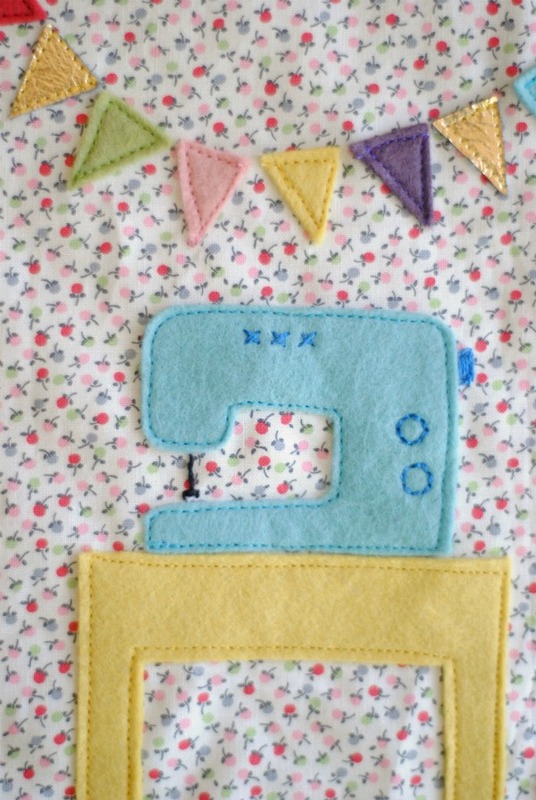 I just saw this on the Craftzine blog and I'm totally smitten! This is such a great, creative idea and so beautifully executed. I would have loved this as a kid and I know several little girls who would likely love this now! This is really and truly inspired and so lovely!! Thanks for the tutorial, I'll have to try it. I think I'll put a scene on both sides of the board though, it will take up the same amount of space so why not? 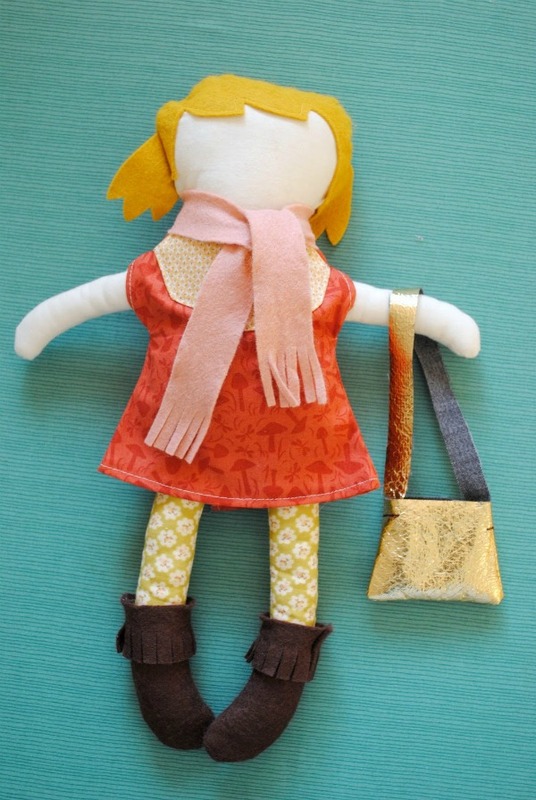 Pretty sure this will work with the fabric "paper dolls" I'm making too, sweet! I love this! I wish I had a kid to make it for. I almost want to make it for myself. But that would be crazy...right? This is the cutest thing I think I've ever seen. Thank you sooo much for the tutorial! 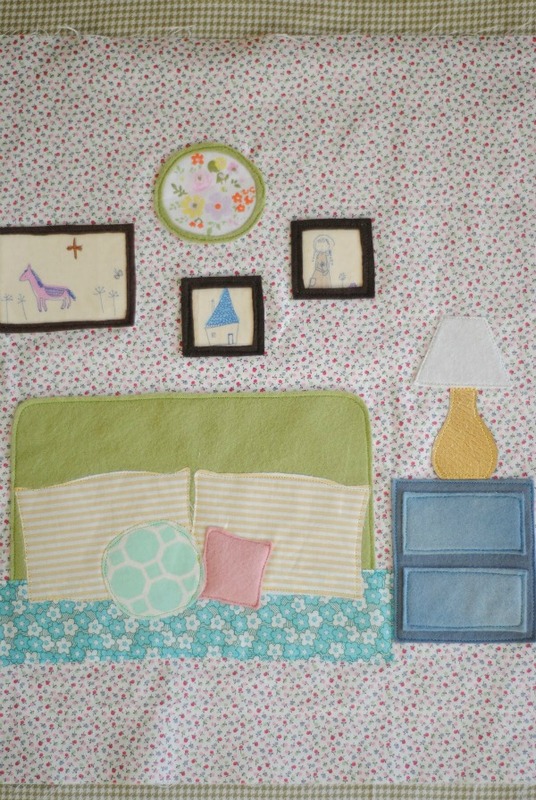 Any chance you have patterns for the rooms and the clothes you would be willing to share? OMG! I am so inspired! This is absolutely beautiful. I have been trying to figure out a way to keep my daughter's toys simplified, organized, and portable. You are the answer to my prayers:) Thank you so much for sharing. Brilliant! I'm going to make one for my granddaughter. and it gives me ideas for others I hope I can follow through on. Too cute! thank you. 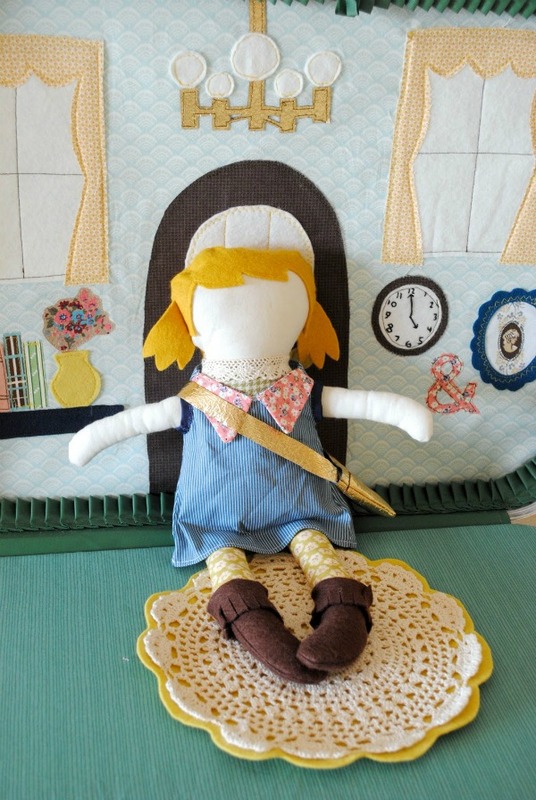 My 5 year old grand daughter is coming to live by me and this is such a great project for us to make together. I am so excited. I am a miniature dollhouse nut and you are right this is endless. Im going to steal your idea lol but use it for nursery rhymes and make it to be used by our visually and/or hearing impaired kids at work. Using tactile fabrics for ease of differentiation would encourage speach of cousre. I love this idea, youve made it beautfully too. Wow, what a lucky girl your daughter is, to have such a creative Mom...this is just so cool! the cuteness of this is ridiculous! I found you via pinterest, and thank goodness for that! what a lovely blog with lots of fun stuff to do with my wee ones! 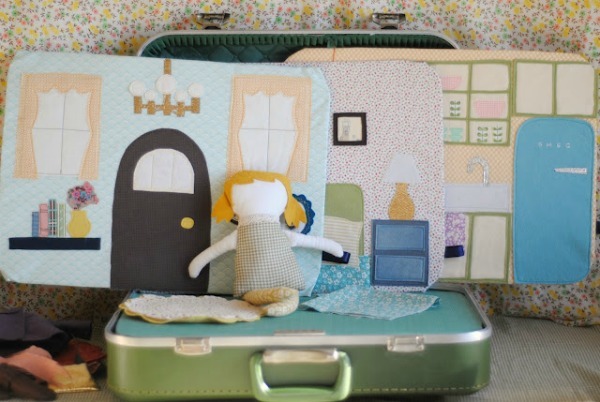 Adorable, we love find new uses for vintage suitcases! 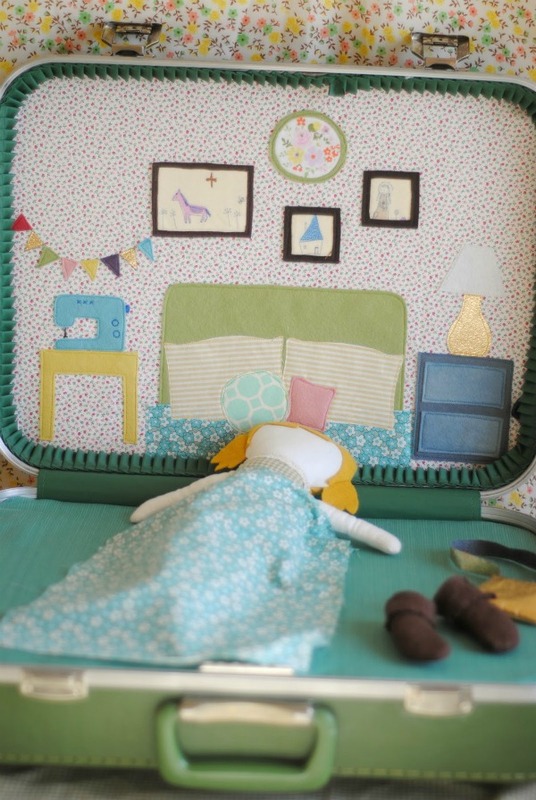 I am thirty-nine years old, and I am smitten with your dolly and her house! What a lovely, clever, delightful creation. I hope you don't mind that I very much want to try something like this for my twin daughters. Thank you so much for sharing your darling project with the blog world! This is fantastic. I bet she loved it! Homemade gifts are the best! You put so much love into it. 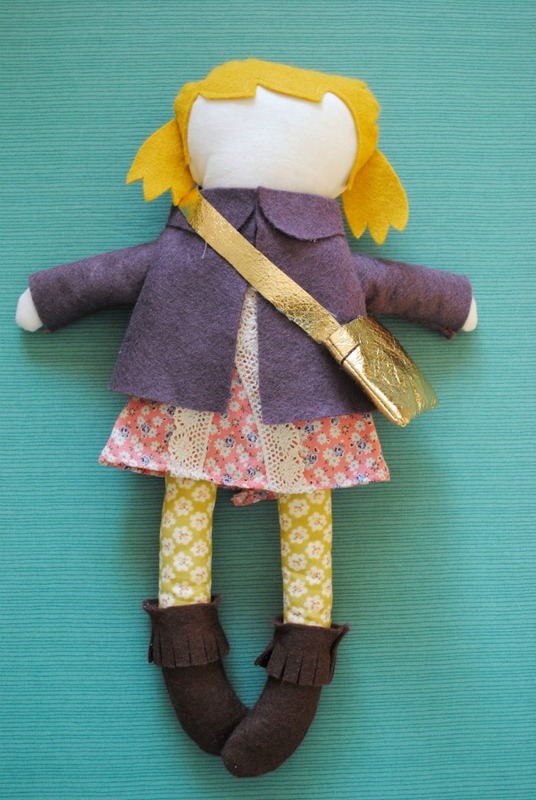 I made felt dolls for my daughter last year and she loved them. Thanks for the inspiration to make a house! Oh my freaking gosh!! This is the most amazing thing in the world! I wish I could make one myself. I think if I were you I would charge 100 billion dollars to make someone else one! It looks like so much work!! This is the most precious thing I have ever seen. 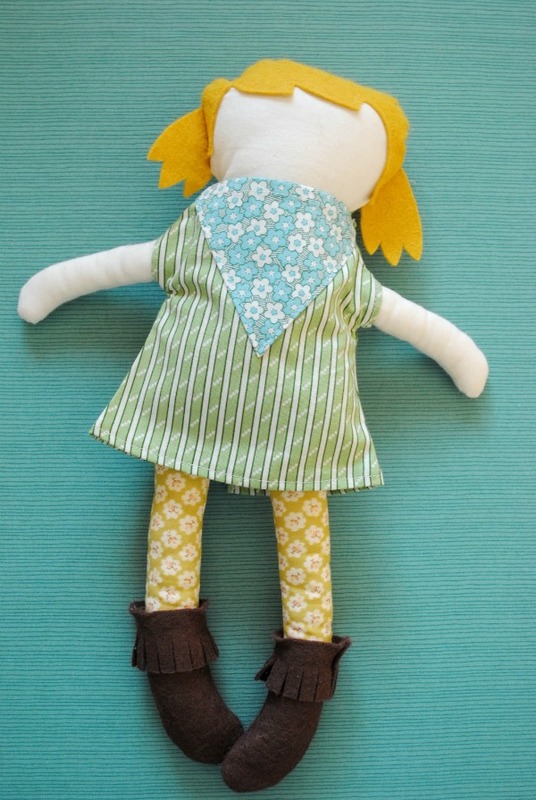 I will be trying to find all of the elements to make this for my granddaughter, Penelope for her third birthday. She loves to play with dolls. Thank you so much for the tutorial. You are very talented. Thank you so much for the inspiration and tutorial. I just finished my own version of the doll house for my niece - Miss M. She loves it!!!! I've posted pictures and a link back to your blog on my website www.haleleadesign.com. kirsten, your pictures are so lovely! i didn't see a way to comment on your post, but i am so glad you tried the project out and i hope your niece loves it! Oh wow!!!! This is one of the most darling things I've ever seen!!! How creative!!!! Your daughter is so blessed to have such a creative Mama!! I will just *have* to make one for myself!! And my boy would love to play with one too!!! I fell in love with this project as soon as I saw the photos - so many clever ideas all in one. I love the portable aspect of it. So sweet and fun! I needed a birthday gift for a little girl and your project came to mind. I didn't have a suitcase handy, so my version is a bit different, but on the same theme - I posted some photos of the process on my blog: reformationexchange.wordpress.com. Thanks for the inspiration! Very, very clever. So wish I had this when my girls were small. this is the most adorable play house! What creative mom you are...congratulations and thank you so much for sharing!